Why are our Glasses Better than Costco/Lenscrafters?  Ironwood Eye Care Contents Why are our Glasses Better than Costco/Lenscrafters? 1. My glasses don’t feel right, but they told me the prescription is right-and there is nothing else they can do for me….! We stand by our products 100%. If you are not satisfied-we will fix it. Check out the common complaints people tell us about their glasses from Costco/Lenscrafters. They come to us and we fix their problems because we have experienced Opticians who have been working in this industry for over 25 years. They are not hourly workers just looking for any job to put themselves through college. They care about their profession-and when you come visit us you will notice and feel that difference and expertise. 2. My glasses feel like a fish-bowl! They make me nauseated when I turn my head or walk in them! These are some of the common complaints we hear from people who are given low quality Progressive lenses (PAL). There are over 100 different ‘types’ of PAL’s. Most chains like Costco and Lenscrafters only have one PAL-so you can’t even pay for a higher quality Progressive that would eliminate those complaints. We don’t sell low quality PAL’s like our competitors- because we want you to LOVE your glasses. 3. My lenses turned crackly!This is a common problem with LOW QUALITY Anti-Reflective coatings. We actually recommend putting an AR coating on every pair of glasses because of its positive benefits- but we only apply ‘high quality’ AR that doesn’t crack or craze and peel off prematurely. 4. I have to tilt my head to see properly! This is a common complaint we hear from people whose Progressive glasses have been measured wrong-usually from a non-certified optician, or an hourly worker that doesn’t have any experience or understanding of Progressive lenses and how to measure and properly put them into glasses. Not only do we have trained opticians with over 20yrs of experience-but we also have a digital measurement system to make your glasses as precise possible down to 1/10th of a millimeter. 5. My glasses don’t stay clean-they are constantly getting smudgy, filmy, and dirty! 6. My frame broke! My lenses popped out! It’s easy to understand that a frying pan from the dollar store will scratch, break, and everything will stick to it after using it about three times… Same thing with glasses. If you make glasses out of cheap plastic, cheap metal, and cheap connecting parts-they will break, bend, lose their shape, and fall apart much faster than a high quality pair of glasses… You get what you pay for.